Enjoy four leisurely nights in one of the most attractive cities in the world. 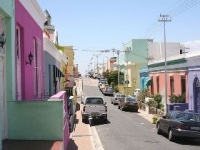 Charming Cape Town is perhaps one of the most beautiful, most romantic and dynamic city. Indeed, few urban centers anywhere can match its setting along the mountainous Cape Peninsula spine, which slides into the Atlantic Ocean. 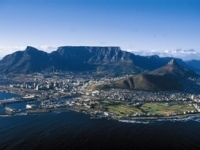 The most striking is the sight of Table Mountain which rears up from the middle of the city. With its rich and intriguing history, museums, harbor side venues ,Cape Town is a city for individual pursuits. Before one leaves South Africa, indulge yourself with game safaris in Pilanesberg National Park. Board your open-air safari jeep in search for Africa's “Big 5” and multitude of other Carnivores, hoofed animals and over 300 species of birds. Four nights at the superior first class Protea Hotel Breakwater Lodge offering an excellent location in the heart of the V&A Waterfront. Non-regimental Cape Town experience with a daily pass on the popular “Hop-On, Hop-Off” Double Decker Bus taking you to the all the highlights of Cape Town and outside the city. Two nights at the malaria-free Pilanesberg National Park in deluxe accommodations. Morning and afternoon open-air vehicle game safaris at a Park that sits on the remains of an extinct and ancient volcano. Victoria Falls, a UNESCO World Heritage Site, is one of the most amazing sights in the world. Visitors are watching Mother Nature in action, as opposed to admiring a stationary mountain landscape. The Falls are twice as tall as Niagara Falls, and several times longer. It affords visitors a once-in-a-lifetime experience. Your hotel is very well situated on the banks of the Zambezi River yet the this area offers a variety of other activities to keep you active ranging from float trips to helicopter flights over the Falls. Roundtrip flights from Johannesburg to Victoria Falls, Zimbabwe inclusive of fuel surcharge and airport / security taxes. Transfers included to and from hotels to airports. 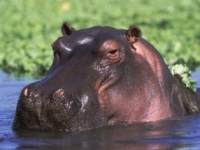 Two nights at the superior first class A' Zambezi River Lodge, located on the banks of the Zambezi River. Sunset Zambezi Safari River Cruise to view hippos and elephants. 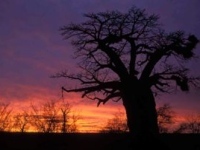 Depart from New York (JFK) for your overnight flight aboard South Africa Airways to Johannesburg. Arrive this morning into Johannesburg's Oliver Tambo International Airport. Collect your luggage to clear South Africa Customs & Immigration. Re-check your bags for your domestic flight to Cape Town. Upon arrival you will be met and transferred to your hotel for the next four nights at the centrally located Protea Hotel Breakwater Lodge. Your hotel is just minutes away from restaurants, pubs, theatres and shops. It is ideally positioned in the heart of Cape Town's V&A Waterfront development. Early morning arrival into New York (JFK). 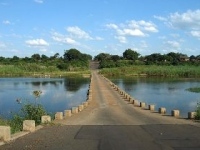 Depart this morning from Pilanesberg National Park and transfer to Johannesburg airportfor your flight to Victoria Falls. Transfer will be arranged from the airport to your hotel. Enjoy the rest of the day at leisure at your hotel the A'Zambezi River Lodge, nestled on the banks of the mighty Zambezi River with river frontage and a jetty site. Enjoy a morning of leisure before your transfer to the airport for your flight to Johannesburg. 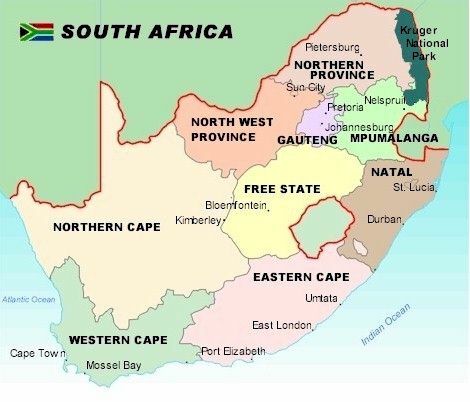 Connect with your South African Airway flight to New York (JFK). Arrive early this morning into New York (JFK).